That book has been both the best and worst thing to happen to remote work. Ferriss’s book started a trend that many companies, consultants, small business founders, and lifestyle entrepreneurs have been trying to implement since. This has produced the unfortunate result of a significantly large amount of customers ‘trying out’ outsourcing without having any serious background on the sourcing process, remote interviewing, remote team management and operational procedures needed to become successful with remote employees. This in-depth article will show you how and where to find the right resources you’ll need to properly start outsourcing within your organization and formulate processes for outsourcing in an effective manner. This smart guide is meant as a starting point for you and your business to use as a baseline framework. It’s the framework I’ve used to build numerous businesses like Staff.com. The third section, How To Source Talent, will introduce you to the newest and most trustworthy platforms that have been developed and used by millions of businesses since Tim Ferriss first wrote his book. I’ll show you how to define your company needs, how to craft a compelling job description to attract world-class talent and what the overall (recommended) process should be when looking to hire. The fourth section, The Interview Process, will dive deeper into the nuts and bolts of how to run effective interviews. Since you’ll most likely be interviewing someone over the phone or through a video service, I’ll point out what qualities you should be looking for, what questions to ask, and how to set up a trial phase to make sure both parties are satisfied before anything becomes permanent (if this is what you’re looking for. The same process can apply to temporary freelancers). Every growing company needs to hire the workforce on a continual basis. However, internal hiring can lead to higher expenses in terms of renting office space, furniture, insurance, utilities, and labor cost. Outsourcing is a good alternative to the internal hiring of the workforce. It enables to keep expenses at a minimum while giving a company access to a skilled workforce. This section will talk about the basics of outsourcing and its pros and cons. Outsourcing in business is when you hire a consultant, an agency, an external service provider, or a freelancer virtual assistant, to handle some tasks of your business or work on specific projects. After the Great Recession, several companies in the United States were forced to outsource teams as well as entire departments to save money and their bottom lines. Outsourcing could involve part-time freelancers or contract workers who work for you full time through a consultancy, agency or external service provider. Outsourcing is often used by businesses of all sizes as well as solopreneurs to handle more business and execute work that requires skills unavailable within the organization. This article will take you through the process of making sure that you and your business are ready to either outsource different components of your regular operations or set up an outsourcing framework to enable you to handle a bigger workload. Can a freelancer do a better job? There are certain essential yet time-consuming tasks in every company which is repetitive in nature like data entry, competitor research, and database building. These can be easily outsourced. If you can hire a freelancer to do these tasks, you will get more time on hand to focus on the core competencies of your business. Other tasks such as financial analysis and website development that require specific skills can also be outsourced to specialized agencies or freelancers if your team is not equipped to do them. 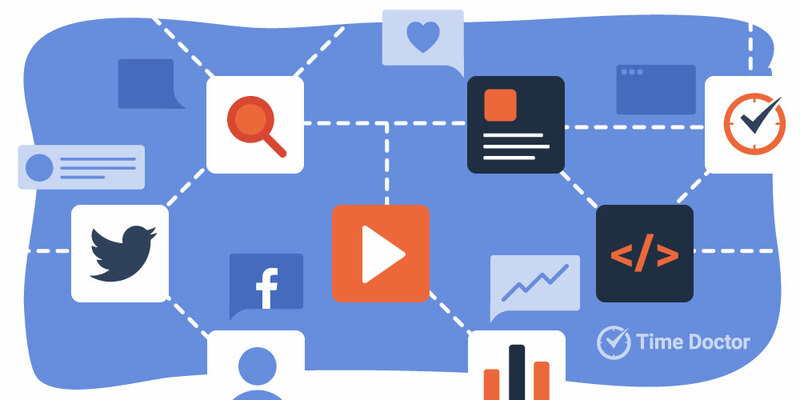 It is impossible to grow your brand, connect with your audience, or find clients without a robust social media strategy. You can outsource the task of creating and scheduling social media posts on a day-to-day basis to freelancers or virtual assistants (VAs). They can create reports based on performance data and provide recommendations. Your VA can also update you on current consumer trends and conversations on social platforms. You can use this data to understand whether your business is moving in the right direction or not. Social media tasks can get overlooked by business leaders since their importance is not as vital as account management, product development or sales. Outsourcing your social media functions can give these tasks the attention they deserve. 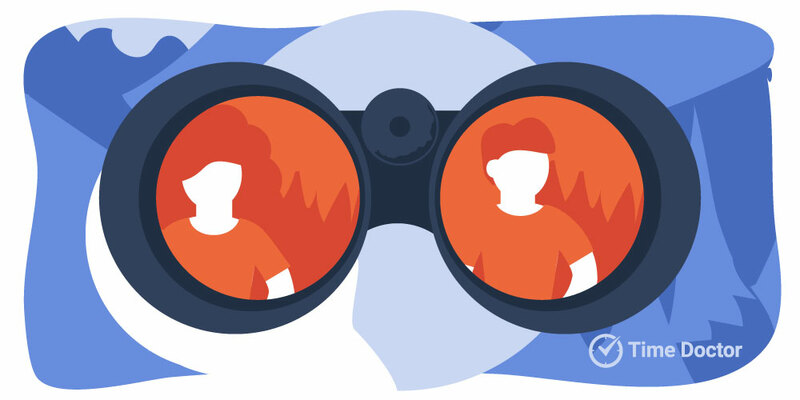 Freelancers can do simple research for different aspects of your business like identifying potential customers, finding industry events you should attend or gathering market data. Such research process is usually tedious and time-consuming. If an entrepreneur has to spend time and energy on market research, she won’t be able to focus on running her business. Therefore, these tasks can be outsourced to dedicated freelance research assistants who can compile the research data into compact and easy to digest reports. Another time-consuming activity that leads to building a company’s online presence is through a company website and blog. To provide great value to potential customers, businesses need to invest in churning out regular blogs, articles, infographics. Unless you want to invest in a dedicated in-house content creation team, hire freelancers to ghostwrite and edit content on your company blog. Your SEO and SEM functions can also be outsourced. The earliest processes to be outsourced by companies were finance and accounting. Now, many companies even outsource their entire finance department since an external agency or consultancy can provide additional expertise in strategic functions like budgets, forecasts, and internal audits. According to an Ovum study, the most common services to be outsourced within accounting was payroll accounting, accounts payable and account receivable. Your Virtual Personal Assistant can handle all your mundane daily tasks like scheduling appointments, answering calls, or booking flight tickets. This will give you more free time to maintain a healthy work-life balance even as your everyday tasks get done efficiently. Customer service has for long been synonymous with outsourcing. As a business grows, it needs larger customer support reps to connect with your clients and resolve issues. If its an in-house team, such a regular expansion incurs additional operational costs. When you outsource your customer service needs to an external agency, you can provide increased consumer satisfaction without incurring a huge cost. Almost half of all business now outsource their HR department. These external agencies or RPOs (Recruiting Process Outsource) help startups hire talent. With their expertise, RPO services can ensure a low turnover rate. These services screen through resumes, interview potential candidates and shortlist suitable talent for your company. Depending on the type of business you run, you can choose to outsource various processes of your business. To help you make a better decision, here are some pros and cons of outsourcing. Outsourcing will also enable you to focus on your core activities and improve overall efficiencies. But, it also has its downsides. How To Avoid Common Outsourcing Mistakes? Outsourcing can be a tricky business and when you go down this road for the first time, you are bound to make some rookie mistakes. In the past, I have lost over $10,000 because of outsourcing mistakes. Here are some common outsourcing mistakes that you need to look out for before you decide to hire that remote team. As mentioned earlier, outsourcing is a great way to reduce costs. However, there is a flip side to hiring cheap talent. A low-paid freelancer will dramatically affect the quality of the output. If you are a software entrepreneur, you should not hire the cheapest freelance engineer. Since the critical part of your business is dependent on engineers, it’s prudent to hire the absolute best who can reliably perform all the tasks. On the other hand, tasks like sales database building could be an area where you can cut costs as an entrepreneur. You must carefully decide where to cut costs so that you can stretch your outsourcing budget without putting important areas of your business at risk. Another mistake entrepreneurs make while outsourcing is not having sufficient knowledge about the task you are outsourcing. You don’t have to be an expert in that skill set, but you should know enough about the role to be able to gauge the competence of the agency or freelancer. After interviewing a qualified candidate, have a trial run where you give them a small task to see how they perform and whether they can do the task according to your specifications. This may take additional time and money upfront, but it will save a lot of trouble later on as you would have hired a competent resource. If you leave projects or tasks up to the interpretation of your outsourced team, it may never be completed up to your specifications, or it may take many attempts to reach your requirements. To avoid any misinterpretation, be as specific and detailed as possible when outsourcing a job. For instance, if you want a logo created, send examples of 10 designs that you like with an explanation of what you like in each design. Then tell the freelance designer your vision for the logo and ask her to make something from these specific descriptions. Another important thing to remember is to always set a clear deadline for each task. Your freelancer will have other commitments and without a clear deadline, other projects may take precedence over yours. Poor communication is the root of all outsourcing mistakes. If you communicate clearly, accurately and frequently with the freelancer, most of the above-mentioned mistakes can be avoided. Ask your freelancer to send you an email at the end of each day with a project progress report. The report can be as short as one sentence, but it will ensure that you know how far the project has progressed. They should also inform you of the challenges they have faced, and what they need from you to complete the task. Also, have a video chat every week. Face to face communication is equally important to build a rapport with your freelancers. If you aren’t more productive, you can’t make anyone else more productive. Being more productive will help you to design efficient processes for outsourcing parts of your business. We’re going to go through each of these individually. A ritual is something that is so pervasive in our lives that we just do it without thinking about it. You need to set up your own morning ritual in order to be most productive. Now getting started will be the hardest thing, but once you get going, it’ll develop into a habit and become natural to you. Listing tasks you want to get done on paper or in a time management software. Figure out your 1 kickass objective for the day and make sure you start with that. Don’t check your email right away – it’s highly disruptive to any kind of productivity. You need to not only plan your day, your week, your month but the next 3 months. This will help you determine not only if you’re hitting your big goals, but also how effective you are at doing so. I use 3 tools to help frame my planning. A time management software like Time Doctor. A digital calendar like Google Calendar or iCal. Place your major milestones for the next quarter on it and put it in a very visible place. These 3 tools will make sure you never miss any deadlines again and help you visualize what you need to get done. Write out your biggest goals for the next 4 months. It doesn’t matter how crazy they are – you just need to take a few minutes and write it all down. Now that you have a few goals set, you need to attach and break them down into a series of milestones. By holding yourself accountable to smaller milestones of an overall objective, you’ll be able to accomplish more little things and feel motivated and productive to keep going. To really be productive you need to figure out how much time you think you’ll need, then cut it down by 25%. Be sure to set milestones and allot a specific amount of time for completing each one. Add these milestones to your calendar. This might sound really complicated, but it isn’t. It’s really astounding to think about the number of people who think they’re really productive but have no idea how much time they spend doing what. Flow State Focus is a term coined by Mihály Csíkszentmihályi and suggests that people are happiest and therefore at their most productive when they are in a flow of uninterrupted concentration and absorption. Separate your workspace from your social space – this could be anything from closing your door, or having a random spot on the couch where you only do work at. Having tools like Time Doctor that keep you focused on what you are doing or that literally block you from going to other sites like Facebook. A methodology is also critical to getting things done effectively. Come up with a plan ahead of time about exactly how you’re going to tackle completing a task. Write it down. This may sound a little redundant, but it’ll enable you to visualize yourself doing the task and make sure you have everything necessary ahead of time to complete it. Try to achieve flow state focus while reading this guide. Be in a comfortable environment, have everything you need in order to work and then get to work. The first way to outsource business activities is to retain a company that offers outsourced services. These companies have employees on their payroll who would work on your projects. Examples are BPO companies (Business Process Outsourcing) for outsourcing low-end tasks, KPO (Knowledge Process Outsourcing) for outsourcing more specialized tasks, software services companies, digital marketing companies, design agencies and so on. However, most of these companies would only work with large companies and would be rather expensive. For example, most digital agencies would require a retainer of at least $5000 a month and most BPOs would require at least $20,000 a month. Therefore, if you don’t have a budget for retaining a company, you will need to outsource to individual freelancers. Outsourcing to freelancers get you some very productive people at a very competitive rate, but it does require a bit of work and structure in order to be able to find the right person for your company. This section will cover three main aspects of sourcing a freelancer. 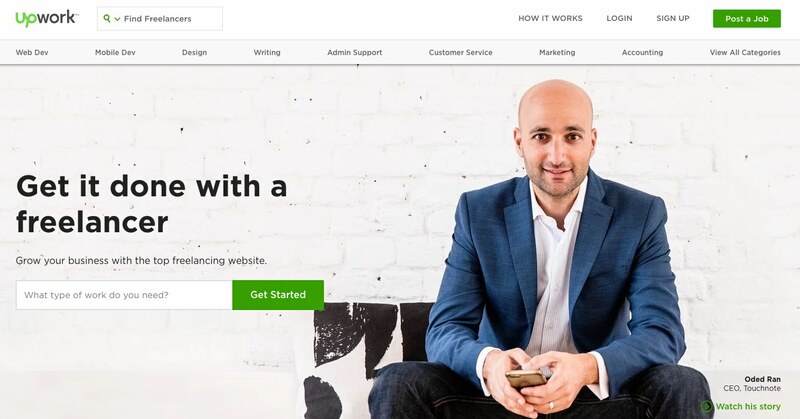 Upwork is the most popular platform to hire freelancers. There are also plenty of small agencies on Upwork. The website helps you hire professionals for customer service, web development, accounting and more. Whatever your requirement, create a job listing and browse through the candidates for the most suitable workers. Check out our comprehensive Upwork review to know more about the platform. Fiverr is the world’s biggest online marketplace for services. You can explore their marketplace to find freelancers to grow your business. Find people for any process you wish to outsource. You can find professionals in digital marketing, graphics & design, video & animation and more. Regardless of the name of the website, expect to pay upwards of $100 for any task with reasonable standards of quality. Hiring a freelancer can often be a big risk. It’s difficult to know if they are up to the mark. Fortunately, FreelanceMyWay does a thorough background check on freelancers before they are allowed to list themselves on the site. This platform allows you to outsource your web development, content creation, marketing projects and more. They even provide an option to pay your freelancers only after they achieve their preset goals. Mechanical Turk is really great for very small tasks (typically something less than 5 mins) and you can get data back quickly. If you have a survey, for example, you can generate hundreds of responses within the hours for pennies each. VASumo helps you outsource your most time-consuming jobs to trained and skilled assistants. The service supplies you with an experienced virtual assistant directly. Some of the jobs that you can outsource include – web development, graphic design, business administration, and digital marketing. Virtual Assistants can also be utilized for major executive tasks. Prialto allows you to hire experienced assistants that can help grow your business. Their VAs can assist you with relationship management, sales, and time management. 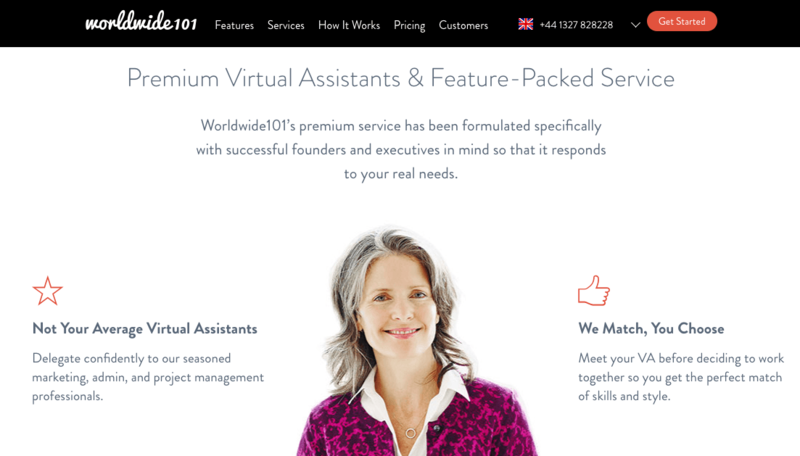 Worldwide101 focuses on producing virtual assistants that are skilled, reliable, and of the highest quality. Most of their VAs are multilingual, so you can get access to local expertise and expand into new markets. They aid you with project management, social media management, multilingual customer services and more. 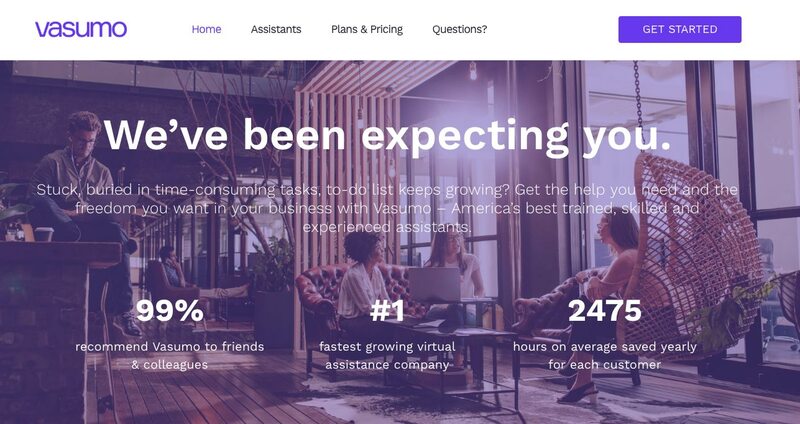 For more options and detailed reviews, check out our article on the top virtual assistant companies. 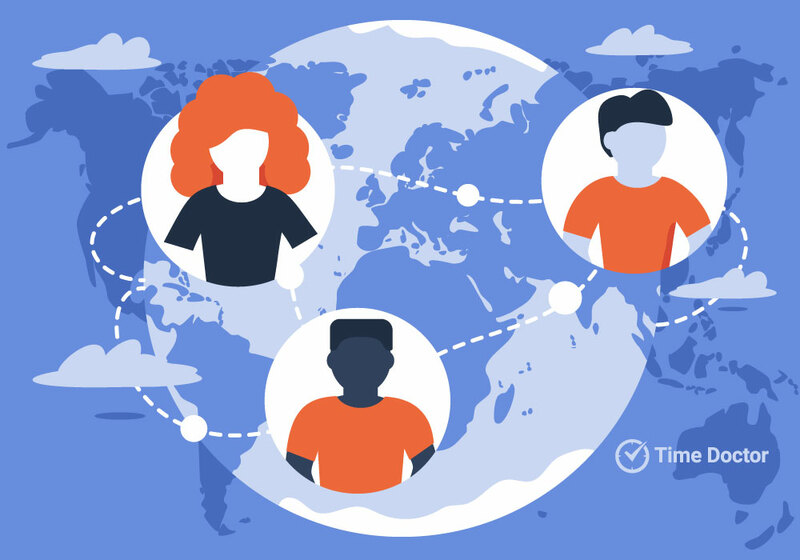 Here are the top 7 major countries you can tap for high quality yet reasonable freelancers. According to the 2017 A.T. Kearney Global Services Location Index, India is the top option for outsourcing your business. Indian BPOs services handle 56% of the world’s business process outsourcing. Outside of the US, India has the highest number of English speakers. Lack of language and communication barriers make India attractive for outsourcing. India has the largest technical and professional talent pool in the world. With 3.1 million graduates added to the workforce each year, you have access to the highly educated workforce. Nowadays, businesses are finding a more skilled workforce for high-tech manufacturing in Mexico. Being a part of the North American Free Trade Agreement (NAFTA), Mexico offers more Intellectual Property protection compared to other countries that also offer low labor cost. Plus, there are no travel restrictions between US and Mexico. Malaysia is the third most-desirable outsourcing destination after India and China. Despite its 1.7% market share in the Asia-Pacific region, its strong business-focussed government leadership makes it a hub for foreign investment. The country has set its focus on information security, minimal custom controls, attractive tax incentives, relaxed monetary exchange controls and attractive incentives for R&D. Malaysia produces an average of 135,000 graduates with Bachelor degrees, with expertise in Marketing, Finance, and HR. Malaysian freelancers have access to high-speed broadband and fiber optics connection ensuring seamless and uninterrupted working conditions. Ranked 7th in the Global Services Location Index, Philippines has overtaken India as the leading call center country. What sets the Philippines apart from other countries is its high literacy rate (96.33%) and great communication skills. The country’s low cost of living allows you to hire Filipino freelancers for a fraction of the expense in the US or Western Europe. Government investment in the infrastructure into IT processes and Business Process Management has also increased over the years. Bulgaria has the lowest salary amongst EU nations of around 235.62 Euros per month, making it a cost-effective option. Many European business leaders prefer to outsource to Bulgaria as it is located 2 hours away (by air) from every major European capital. Bulgaria’s workforce has excellent communication skills with 85% of the population fluent in English, and another 45% of the workforce fluent in a foreign language. Brazil is currently ranked 5th on the Global Services Location Index. It is known as a ‘software powerhouse,’ with several cities housing global services. The country’s technical colleges are top notch, and several companies have established offices close to major university campuses for new talent. Brazil’s low cost of living and low foreign exchange rate as compared to the US dollar makes it an attractive option of outsourcing. Many companies have reported a low turnover rate when hiring Brazilian to outsource teams. Ukraine is a leader of software development in the Eastern Europe region. The country is included in the Forbes rating of countries with the most engineering graduates. Relevant education helps Ukrainian developers solve even the most complex tasks. The country ranks 2nd in Eastern Europe by the number of developers (165,000+). They work in 11,900+ IT companies. Ukraine was called the “Offshoring Destination of the Year” by Global Sourcing Association (GSA). The rates for outsourcing web development services in Ukraine are $25-$40, while the code quality and creativity of Ukrainian developers is on the level with their American counterparts. Now we’ll get into the actual process of getting that freelancer through different platforms. On Upwork you’re going to have to create a profile in order to register your company. Then you’re going to want to upload your project description to the site and wait for bids. For Mechanical Turk, things happen pretty fast. You need to sign up, define the task and then submit it to the network where multiple people will all “complete” the task. With Fiverr, you’re going to want to register, browse through hundreds of freelancer profiles, and select the most suitable one. Choose who you want to work with and take action. Choose which type of outsourcing you’re looking to have done and then register with your preferred platform. Before you write the job post, take some time to write a description for your company on the various freelancer hiring platforms. When a prospective freelancer finds many freelance project postings, they rely on the information given by each company to figure out which project and company suit them well. If you want to stand out from your competitors, use your business description to tell them why they should work for you. You need to explain what your company does, which type of customers you serve, and what products and/or services you offer. The Job Description is less about helping you find the people you want and more about filtering out the people you don’t want. On sites like Upwork, the people you want will find you. Long and highly specific descriptions don’t work as well as you’d expect when outsourcing talent – especially in the Philippines. They won’t even apply if there is even a single item they feel they don’t meet (e.g., 4 years of ruby development when a perfectly qualified candidate only has 3). Don’t be vague – things like “passionate about success,” “able to work well with others.” Only put down actionable items. Keep it clear and concise – 3 points are perfect to get people in and you can filter them later. Lack of contact information and payment scale – a lot of firms will leave out payment scale hoping to win over candidates during the interview process, but you’ll end up wasting everyone’s time and becoming frustrated. If you can only afford 20K per year for a full time dedicated freelancer, say so right in the beginning. Use the code word trick – I’ve done this several times to really help filter out potential candidates and quickly identify the concise attentive ones. Somewhere in the middle of the job description, tell them to reply with an email that has your code word in the subject line. This way you can go into your email client and set up a filter to only look at new emails containing your keyword in the subject line. Follow the tips above to put together a job spec that is to the point but allows for a wide range of applicants to apply. In this section, I’m going to take you through the actual selection and interview process and what to look for in all the candidates that you got from the last section. Many of these points will also be useful if you choose to retain an agency. You can use these tips to screen the people that an external service provider or agency is proposing to keep in your outsourced team. Since there’s a good chance all your interviews will be happening over the phone or via video chats, I’ll also show you how to identify the right characteristics you want to hire for as well as what some good questions to ask your interviewees are. This can be discerned in the initial testing period. I’d rather have someone give me an example of how they screwed up rather than have done nothing waiting for directions. So give people liberty to take action, even if the end result isn’t quite what you expected because with outsourced talent, you’ll both be working on different schedules and you don’t want them waiting for you to come online to fix a little problem or give more direction. Monitor your new team members during their test period. Again, tools like Time Doctor or ClickUp can indicate how much of the workload is being accomplished. This can be determined pretty quickly during the initial interview or a practical test. Test the candidate with some quick tasks in different areas. There are 3 main phases of an interview process. This is the fastest way to filter out candidates. Give them an initial test to complete and you can immediately see who is serious about getting the job. It should be an hour long and you should make sure they have a 48-hour window to complete it (to compensate for time difference). The most important thing to look for is clarification questions. This might seem like a conflict with the Action Taken quality from the last task, but sometimes the action to be taken is to ask questions. Hi, I’ve included a PSD image and I’d like you to make the following changes. Send it back in 48 hours. If you have any questions or need clarifications MAKE SURE TO EMAIL ME. If you don’t understand anything about this task, you need to clarify them with me before starting the test. Excited to see how you do! So, seems like a pretty simple test. However, (and this is the point of the test) I don’t send the candidate a PSD, I send them a GIF. Ask for a .psd file of the image as it would be very hard to run the exercise with the .gif format. They would ask for a clarification on the “red” or would present me with a few different options. A great candidate would email me back, ask for clarifications and would be able to complete this test in under 5 minutes. A candidate who doesn’t do this would take the rest of the day to either make changes to a .gif (which isn’t editable) or create a completely new image. Both would take much longer than 5 minutes. Come up with a test of your own for your specific position. Make the test very simple and have your candidates try it. If it’s longer than an hour, pay them for their time. After you’ve gotten candidates past their initial testing stage, we now need to interview those candidates. This can be done through a platform or through Skype. If you’re just interested in completing a small task or project, then this stage isn’t necessarily needed, but if you’re looking for a longer-term hire, it’s critical. You’re looking for a few critical things. Do they have their own computer and a stable Internet connection? Do you hear background noise in the call? If so they might be working out of an Internet cafe which usually won’t work. Can you tell me about your work experience? How do you think (x) could help you with the position we’re offering? How do you deal with working independently? Can you give me an example of when you had to make a decision independent of management and how it turned out? Can you give me some examples of how you took action on something? How did it turn out? Do you have experience working in virtual teams? 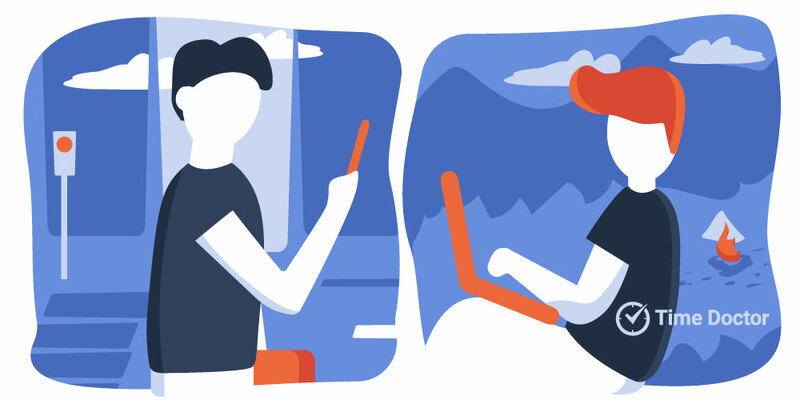 How do you like working virtually vs. working in an office? Telling people they’re wrong if you believe so is really important to us. Can you give me an example of when you told your boss/manager they were wrong? How did that work out? Can you tell me three things you’d think you could make better at (company/website)? Make sure you do at least 3 interviews with 3 candidates you really like. Ideally, they should all be fantastic candidates on paper. By this point, you should have tested candidates, interviewed them and now have 2-3 candidates that you think might be a good fit. You might even have 1 candidate that you think is a winner and you want to hire that person right away, fight that urge. Testing and an initial interview usually only account for 10% of the candidates overall fit for that position, that’s why I suggest you try what I call ‘real world interviewing.’ You’re going to take this person (I always suggest you try two or more) out for a day of work. Track them using some kind of tracking software like Time Doctor and give them all the same tasks. The results almost always surprise you. I’ll see some candidates that don’t appear to be the strongest candidates during an interview that work incredibly well and candidates who seem to have all the right answers during an interview work out horribly during this process. Once they’ve gone through the day look at both candidates and make your decision. Make sure you get at least one day on a trial with candidates. Make sure you also pay them for their time. Some entrepreneurs hire freelancers for the lowest rates possible but expect the same quality of work that you get from expensive freelancers. Paying a lower rate may seem like a good financial decision in the short run, but it always costs more in the long run when your low paid freelancer delivers poor quality work or does not complete projects on time. It is better to spend a few dollars extra to ensure you have the best people on your team. It may seem simple to hire one virtual assistant to do all your jobs than to maintain a team of freelancers handing different aspects of your business. However, it’s a risky situation because your lone VA can quit anytime. You would then have to scramble and find new freelancers to fit their role. If you hire VAs for different tasks, you are in a better position to replace one assistant with another. You will also benefit from hiring specialized VAs or freelancers for specific tasks. Many entrepreneurs hire freelancers as a temporary workforce to handle a single project. However, hiring freelancers on a long-term basis can not only help you scale up faster but also ensure a higher level of commitment from that freelancer since he knows that this client is going to give him work over a substantial period of time. Long-term contracts with freelancers also ensure you get better quality and priority from the freelancer. An effective training system is essential to ensure that your outsourced team can understand and complete tasks within a set deadline and to required specifications. All large companies that outsource their projects to BPOs or KPOs take their offshore teams through regular formal training programs. You should do the same if you want to ensure that you get high quality and productivity from your team. A video chat is a great way to introduce yourself to your team. You can take them on a virtual tour of your office, introduce them to colleagues, and engage with them face-to-face. You can use video conferencing to show your freelancer the exact specifications of the task. However, freelancers from countries with poor internet bandwidth can struggle with common platforms like Skype or Google Hangouts. 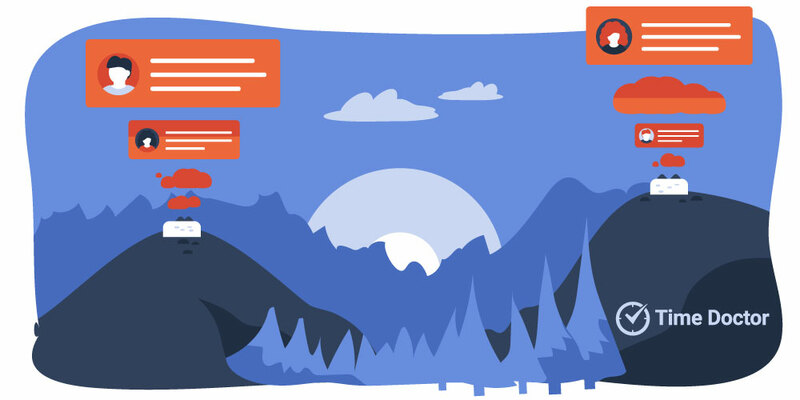 In such cases, use video chat services like Agora.io that provide a strong and clear image for low-bandwidth situations. Make the most of video chat training sessions by recording them for future use. You can use footage from the session to produce step-by-step tutorials, FAQs and other aids to help your outsourced team. Creating a comprehensive document that details all processes and guidelines can seem time-consuming. But it is an effective method in the long-run. A training manual eliminates the possibility of repeating training instructions for every new freelancer that joins your team. If your outsourced agency or freelancer has a question, they can refer to the training manual. You can host this document on file sharing platforms like Google Drive, Dropbox, etc. Company reporting system for working on deliverables. During the first few weeks, give your VAs or freelancers access to a wide range of company-specific files to read in their free time. This will help them understand your business, your mission, company values, and work practices. Check in on their progress in a couple of days. I like to quiz my virtual assistants on what they learned, and how they can use this information to better their work. This is actually the hardest part of the outsourcing process – establishing a clear and concise communication system between you and your outsourced staff. Some kind of a process database is critical to communicating with freelance workers. Make sure you have a central place where you place all of your operational procedures (we’ll be getting into how to do that later on). At Staff.com, we built our own wiki. You can go that route or you can just start with simple Google Documents that can be shared in the cloud. Wiki, Google Docs, Dropbox, Box.net, take a look at them all! For outsourcing to be effective as it can be, clear and concise email communication between both parties needs to be established. 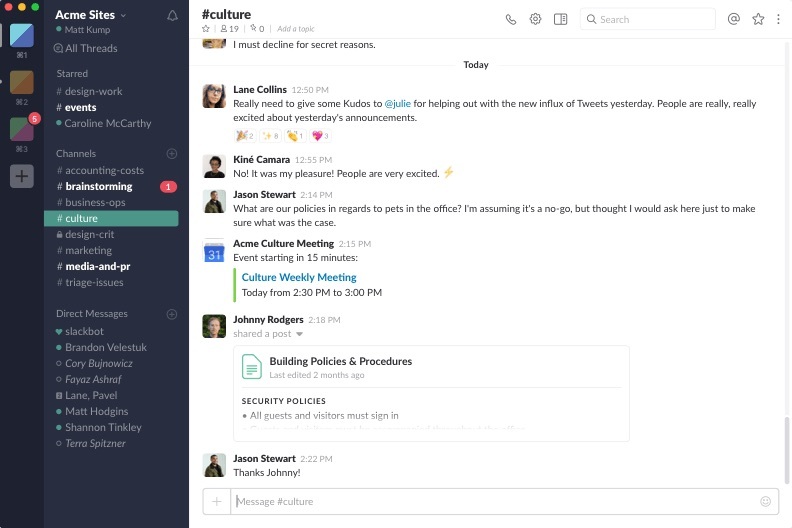 In fact, rather than use email to communicate with your team, if you use Slack, add them to your team. Alternatively, using a social project management tool like ClickUp allows you to communicate about specific tasks without email. When your worker is 5,000 miles away – you need to be able to quickly communicate exactly what you need doing in simple and concise terms. Complete instructions and all tools, passwords, access required. Explain it to them like they are a 4-year-old – not to demean them, but to make sure things are understood. Procedures and proper process are crucial. If anything is going to be duplicated later or done on a regular basis, you need to systematize it (more on this soon). Reinforce specific deliverables and completion dates. 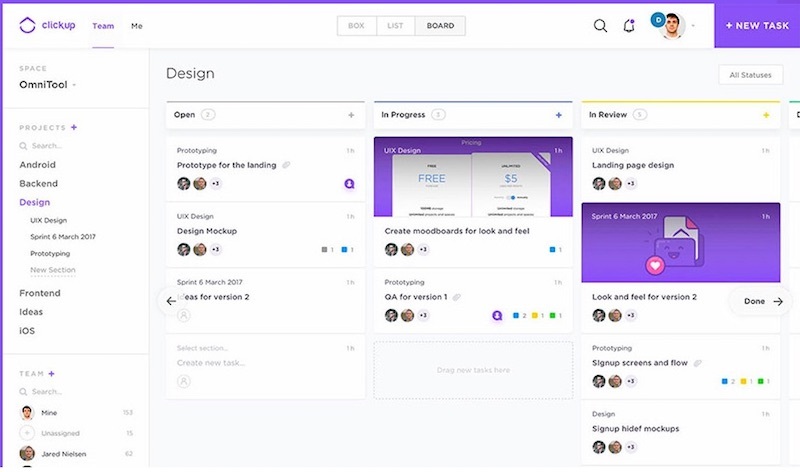 The most feature-rich social project management tool where nearly every feature is free. ClickUp allows you to visualize your projects in multiple formats such as lists, Kanban, calendar views, etc. The custom fields feature makes the tool extremely flexible and allows you to easily adapt ClickUp to your company’s specific needs. The classic team task/project management tool. Great if you want a simple tool with very basic features. One of the most popular project management tools which help your team stay on track of multiples projects and tasks. For more options, check out our list of top project management tools. Keep track of the exact number of hours each freelancer/ FTE has spent on each task, project or during a period – day, week, month, etc. Automatically calculate billable hours so you know automatically how much each freelancer should be paid. Track web activity to make sure your remote team members don’t waste excessive time on personal tasks during work hours and bill you unfairly. Keep team members more productive by helping them manage distractions such as social media and entertainment sites. 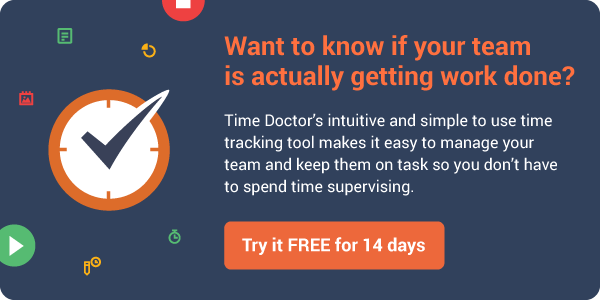 If your freelancers open such sites while working on a task, Time Doctor will automatically detect it and generate a pop-up to confirm you if you are still on that task. Managers can check web activity reports to see which websites they were visited during work hours. 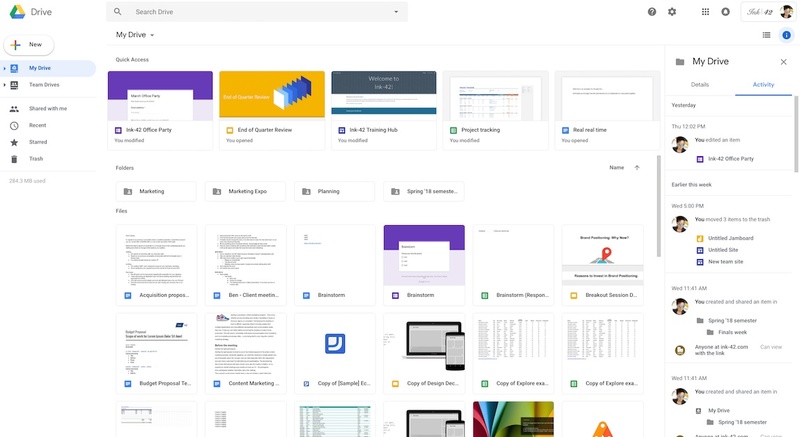 Kind of a hybrid between Dropbox and a basic project management tool, Google Drive basically pulls in all the Google Docs tools and keeps everything up-to-date in the cloud. 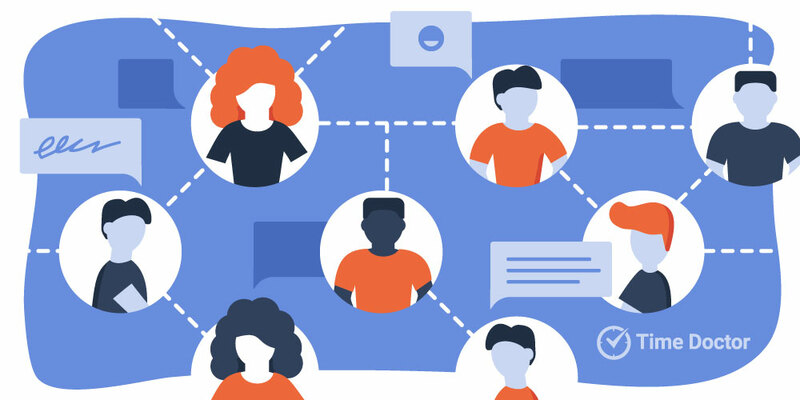 Multiple people can collaborate on the same document simultaneously, which makes it incredibly useful for distributed teams. Tools like Skype or Slack can provide chat logs within specific groups or “rooms” in which you can include specific people. This way your in-house employees, as well as freelancers, can always come back in to read text logs and keep on top of what happened in other working groups or time zones. Have a company chat room set up for all your employees, including freelancers and virtual assistants. If you have a larger team, set up division chat rooms as well so you can enable and keep track of the chatter across teams. Hiring a freelancer or outsourced full-time employee (FTE) from another country can save you up to $3,000 of setup and infrastructure costs. Freelancer salaries reflect the economy and cost-of-living of their country. Asian countries offer cheaper rates than Eastern Europe and the USA. However, Eastern European freelancers are worth the additional investment in certain domains, as they have greater technical expertise and have the advantage of being multilingual. While these are the median rates, the actual rates can differ depending on the task and hiring platform. According to Upwork, basic administrative tasks such as data entry, research, proofreading, etc. cost about $12 – $20+ an hour. Outsourcing marketing and customer service tasks require more specialized skills and therefore cost $20 – $35 an hour. Outsourcing is immensely profitable for one sector – consultancy. An average in-house business consultant charges $125 per hour. But you can hire a remote business consultant at a fraction of the price at around $50 per hour. The bottom line is that you can decide your own hourly rates, provided they fall under the market guidelines. How can you ensure that you are paying your freelancers fairly? Keep track of the time spent by your freelancers and virtual assistants and then multiply it with the predetermined hourly rates. Time Doctor’s payroll feature automatically calculates payout based on the hours tracked. How To Send Payments Overseas? PayPal is undoubtedly the largest online payments processor in the world. A large number of businesses and people are already on this platform. Chances are that your freelancers would already have a Paypal account. This platform is available in over 200 Countries and supports 25 currencies. It provides flexible payment options. Link either your credit card or bank account to your Paypal account to pay freelancers. Receivers pay 2.9% + 30 cents per transaction. The currency conversion fees are generally 3-3.5% higher than the true market rate. Companies that send less than $20,000 a month. Payoneer is a global payment and money transfer service. You can send money to more than 200 countries in over 150 currencies. Multiple payout solutions including prepaid MasterCard® Cards and global bank transfers. Manage funds via the mobile app. A receiver pays $1.50 transfer fee to a bank account in the same currency. Exchange fees are up to 2% of the market rate. Companies that send over $20,000/month. Paying independent contractors and freelancers. 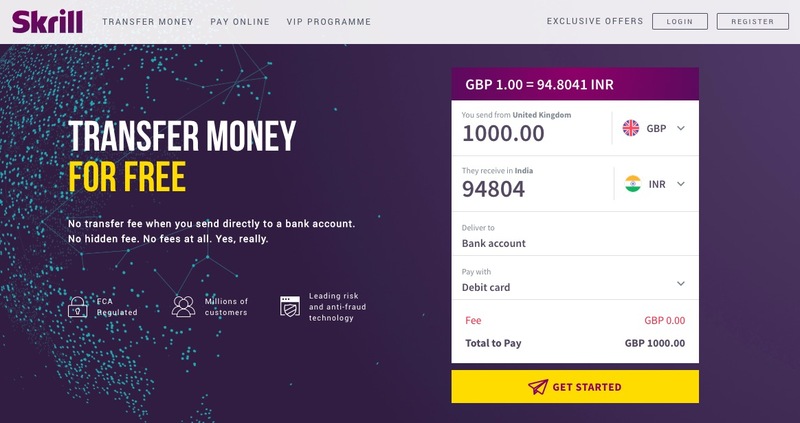 Skrill (previously known as MoneyBookers) is an electronic payment solutions service based in the UK. Available in 200 countries for 40 currencies. Some countries have localized withdrawal options. Senders pay a 1.45% fee per transaction. Uploading funds from Visa or MasterCard have a 2.90% fee. Flat $5.50 fee to withdraw funds. Paying freelancers in Eastern Europe, Asia, and Africa. 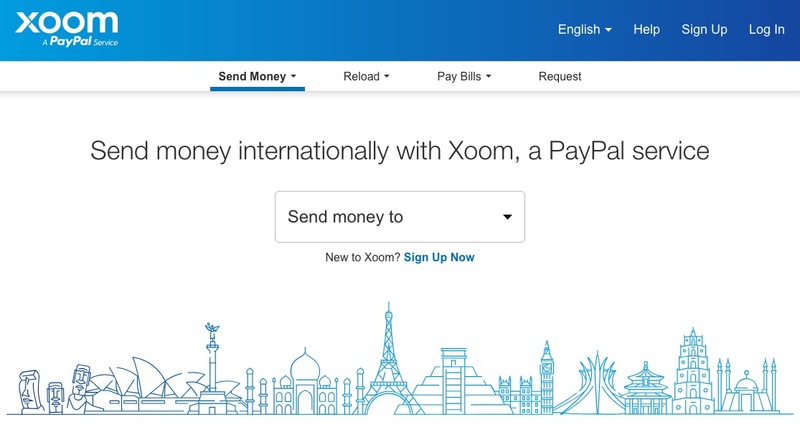 Xoom is a fast online transfer service owned by Paypal. Freelancers can opt for a cash payout. 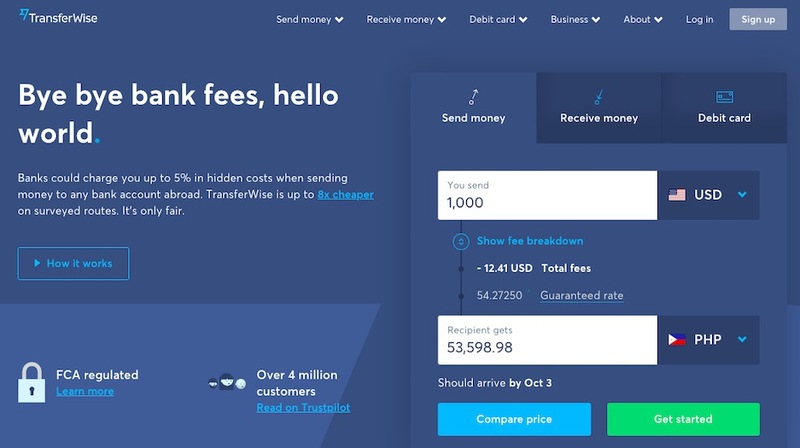 Transferwise offers low-cost overseas money transfer services. When you are scaling quickly, there are some things that shouldn’t be rushed. Invest time in interviewing each freelance or FTE candidate, test their skills and hire them on a trial basis. It’s important for the success of your company to only hire freelancers or FTEs who have a track record of excellence. Make sure you don’t skip any important interviewing and vetting steps. Otherwise, you may hire low-quality workers who need to be replaced a few months down the road. You might need to invest in an RPO (recruitment process outsourcing) service that can supply potential candidates during the scaling process. While you can use a recruiter to do all the heavy lifting of finding new candidates, you should also actively recruit on your own. Sometimes it’s better to know your freelancers before you hire them. Nick Francis, CEO of Helpscout, spends 20-30% of his time searching for remote talent. He uses sites like Angelist, StackOverflow, Anthology, WeWorkRemotely, and GrowthHackers to find potential freelancers. This approach can work if you have a fair understanding or experience of the job role. When you hire a new freelancer, there is bound to be a lot of paperwork. You have to sign contracts, conduct company training for the new joinees, and other general information that needs to be shared with an outsourced agency or freelancer. If your onboarding process is streamlined, it will make this entire process of adding new freelancers a simple job. 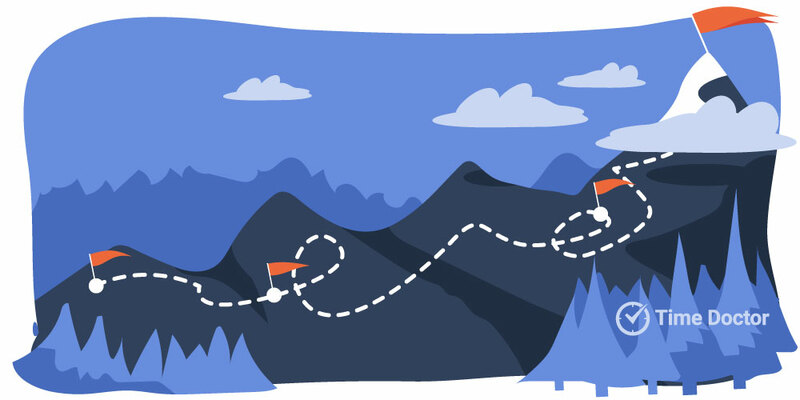 Consider using a tool like Process Street to map your hiring and onboarding process in pre-defined steps and checklists. This will save you tons of time as well as give your new team members an excellent impression of your company – always important to ensure high engagement and motivation levels. A clear onboarding process allows you to integrate your freelancers with the in-house team with ease. 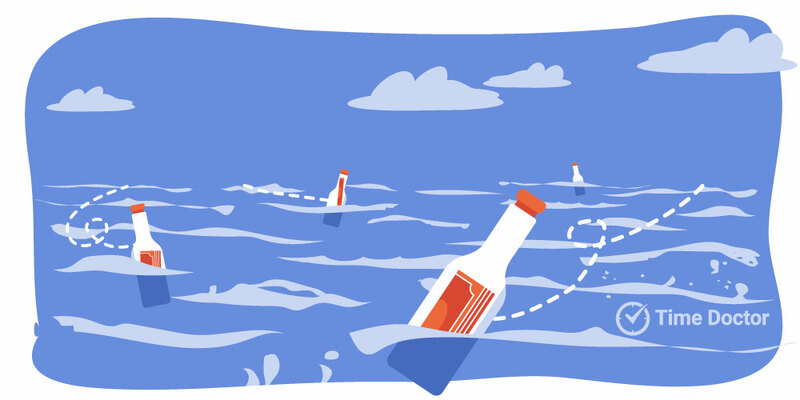 If you don’t have a solid onboarding process, you might run into problems within a few months. Your freelancers might produce deliverables that vary from your expectations. You might realize that someone you hired recently isn’t legally allowed to work in your company. It can cost your company a lot of time, money and rehiring to recover from a shoddy onboarding regime. Effective communication also depends on the integrity of your work process. Set clear expectations of when projects are due, who to report to, and who to come to with questions. A large percentage of executives (86%) believe that ineffective communication and lack of collaboration are major causes of workplace failures. Your freelancers may have access to various productivity and communication tools. However, it’s better to standardize and streamline the entire team’s tools. Ensure that everyone receives your messages and assignments, communicates with team members, and send deliverables using common platforms. 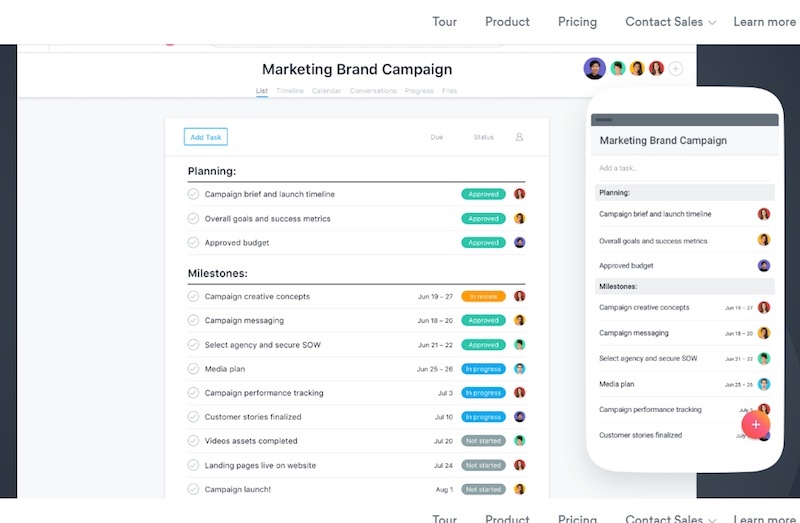 For example, all your teams and departments can schedule tasks and duties using a single project tool like ClickUp and communicate easily through Slack. Both these apps allow you to check your outsourced team’s progress from any device. 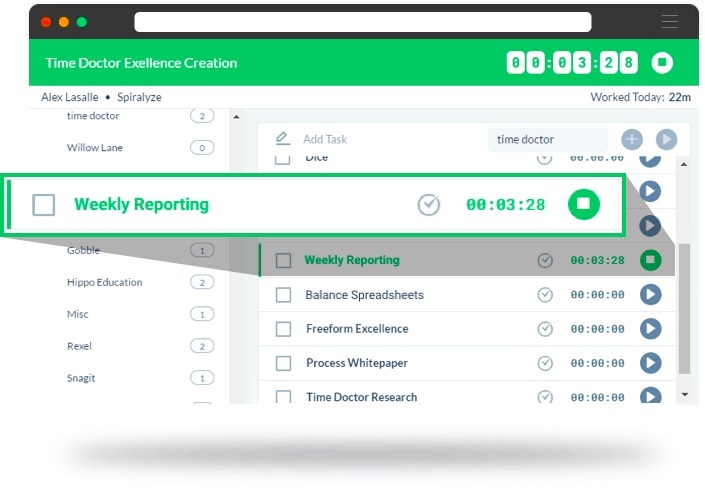 To track productivity and log in project billing time, you can introduce your team to Time Doctor. This tool has several features to accurately track actual time spent on tasks so that you are sure that your remote team was actually working and not wasting their time during work hours. Process design is all about having the critical elements and resources in place to help your outsourced worker perform at the same level you want them to. While there is a bit of training involved with any job, it’s much harder to manage the quality and flow from abroad. Unlike traditional jobs, the material must be available in a consistent and clear format to ensure that no matter who is doing the job – or from where – they are achieving similar results. Discover – this is when you try to understand the history of the existing process. Ask why is it being done this way? Design – this is where you’re going to build a new procedure from the things you’ve learned. You’ll want to do this in 3 phases: always do the process first yourself, the second time think about systematizing, and finally systematize it. Deploy – take your process to your employees and teammates and find out what’s working and what isn’t. Debug – keep fixing all the problems with your new process until everything is resolved and running smoothly. Go ahead and write up a process guide, send that guide to your employees as well as freelancers, ask them what needs to be changed and go through the top three D’s till you get it right. Once you’ve set up all your procedures, you’re going to want to some organic training process. Organic means that you don’t just institute them, but that they come from your staff. All our procedures are treated like laws that have to be followed, but if you think you have a better one, we’ll review it as a team and add it in. We even offer bonuses to all employees including any freelance members who spend the time creating a great process that gets added to our daily operations. The number 1 problem that I have encountered while consulting for big firms that outsource work, is that they think everyone else is the problem but them. Be open to the possibility that you are the problem. Let that sink in for a minute. If your staff is failing you and you’ve done everything else in this guide up until now, the way you’re communicating processes to your staff may be the issue. There’s a fair chance that the problem lies with you and you need to change in order to make your staff more successful. Remember that training somebody in person is very different from training somebody 10,000 miles away. It requires a different management philosophy and when you end up running into problems (and you will), step back and instead of blaming the worker, ask yourself how you could better communicate what you want done to your team. In the last section, we covered some of the core theory of Process Design. This section will be dedicated to actually implementing the theory and making sure your new freelancers are able to follow the redundant processes created. Redundant processes are things you should be doing all the time and in the same format in order to keep things moving smoothly. Guest Blog Post Outreach – compile as much information about as many bloggers in your industry and then reach out to them yourself. A backlink from a very respectable blog is huge. Blog commenting – you need to have your face and brand out there in comments on other blog posts. 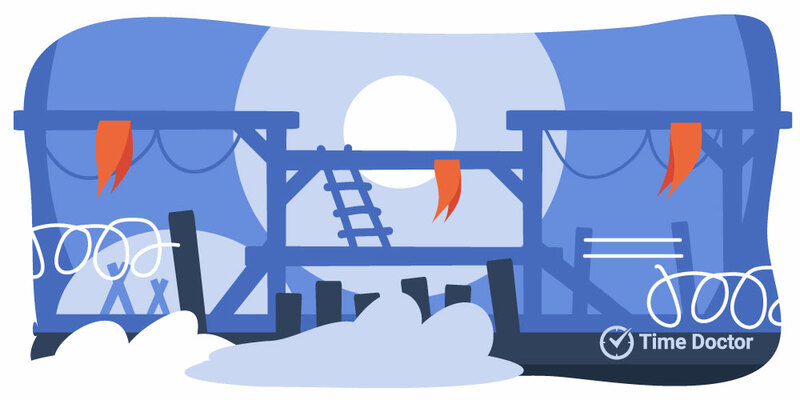 While it won’t give you SEO juice anymore, it’s still very worthwhile. Keyword specific ranking – We have a specific primary and secondary keyword or keyword phrase for each page and work hard to make sure we rank for those specific keywords. Guest blog posts – most authors need content for their blog, as long as it’s solid content. So spend the time and reach out to them. Forum communication – you’ll want to have someone that speaks the language and is part of the industry niche that can represent you very well in your own support forums and build effective FAQs. 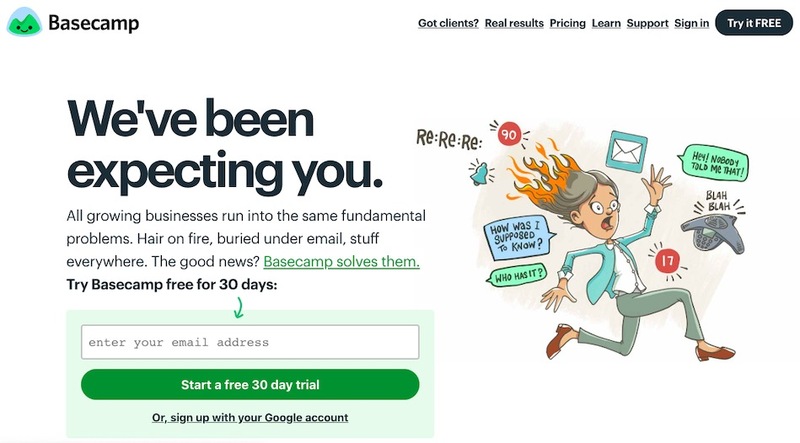 Newsletter and email creation – you’ll want to keep in touch with your clients and one of the best ways of doing so are through personalized emails and a weekly or bi-weekly newsletter that gives them value. Don’t just write something for the sake of talking about yourself – give them a reason to keep following you. Twitter – directly respond to people who are tweeting about keywords we’re interested in. Show them you’re listening and offer to help. Facebook fans – write interesting posts, engage with them, make it cool for them to be a part of your experience. You should also do research on other (related) industry fan pages and try to do a cross-collaboration. As an example, we were able to do this for less than 1000 dollars a month from a labor perspective. Q&A sites – Sites like Quora are great because if you can have the best answers to important questions, it’s a huge promotion for your brand. YouTube – create short videos and enable comments. You’re guaranteed to get lots of questions and you want to make sure that you address them. Bug hunting – Typically you don’t need to go far in order to find something you could improve – your clients are also key aspects of feedback. New features – from time to time it’s important to push new features to keep your team engaged and clients happy. Code efficiency – the shorter your application code is, the more efficient it will be. Forum posting helps to both bring clients to our website. 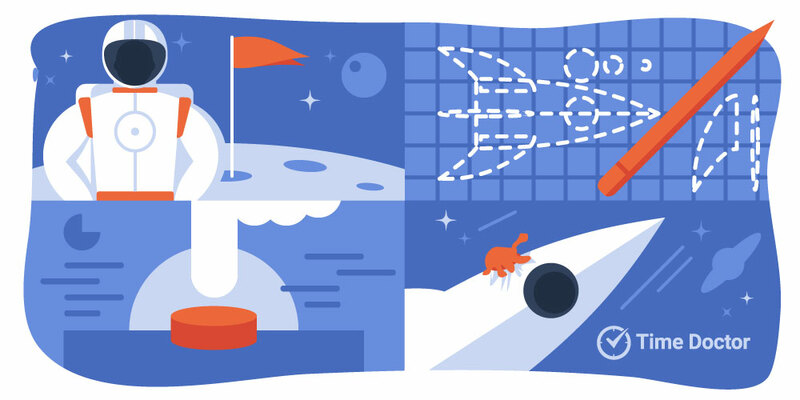 Step 1: Go to Google and search for your chosen keywords. Step 2: In the search results, look for forums in which you can write a comment relating to your chosen keyword. You may need to register a new account if you haven’t already done so. Step 3: Comment on the chosen forum with a meaningful response. You can include a signature with a link back to your site (if the forum allows). Repeat this same process for any other related forums in the search results. Do this on a daily or weekly basis to continue to drive traffic to your site. Step 1: Either open a new twitter account or check the note section below to see if you have been assigned a twitter account to manage. Step 2: Go to Twitter Search and search for the keywords that are of interest to you. Step 3: Those tweets that are relevant to the product or service we are selling should be first added to our twitter followers and secondly should be responded to as an @reply. Step 5: Go to friendorfollow.com each week, delete those twitter accounts who have not added us to their list of followers. If a customer responds through a PM or an @reply: Restate your desire to help them and answer their questions, always place the url in your reply or PM so that the person can visit the site. Make sure your responses are natural and directly address the tweet, you do not want to spam accounts as this may get the account banned. YouTube is the second largest search engine in the world. 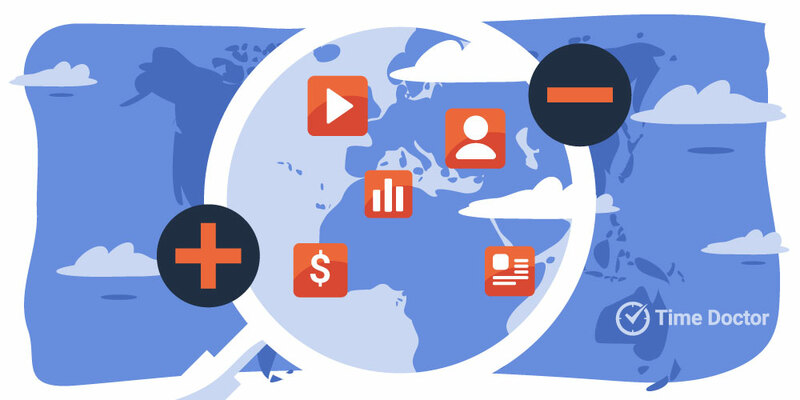 Billions of people view YouTube videos every year and it is a central component of a well-rounded traffic generation technique for any online campaign. Today you will be learning the fundamental components of how to optimize a video so that it ranks on YouTube. Step 1: Log in to your YouTube account and/or create a YouTube account (check the notes below to find out if you have a login). Step 2: Search for the seed keywords that have been assigned to you by your project manager and expand on those keywords in the YouTube keyword suggestion tool. Step 3: Create appropriate YouTube videos from these keywords. Step 4: Collect the descriptions and tags for the top videos that come up for the keyword you’re trying to optimize for. Step 5: Provide the urls of the videos you have uploaded in your daily accountability report and the keyword you’ve optimized each video for. Now that you’ve seen some examples of redundant processes you need to make sure they’re getting done. Again, a tool like Time Doctor will help you make sure that things are getting done on a daily basis. You should also set up a weekly report. Quarterly reports then become more of an outlook report – this is what we accomplished this quarter, what do we need to accomplish next quarter and how do we position ourselves for that? Outsourcing can help you focus on your core competence. It saves you money, time and helps you scale. Which business processes will you start outsourcing? Let us know in the comments. This is a great article on outsourcing. The way it’s explained is really easy to understand. Thank you Naveen! We appreciate it. This is a great comprehensive guide for businesses. Thanks for compiling this informative guide. This is a great comprehensive guide for businesses. Thanks for sharing your tips. You’re welcome, It took us a really long time to put together!